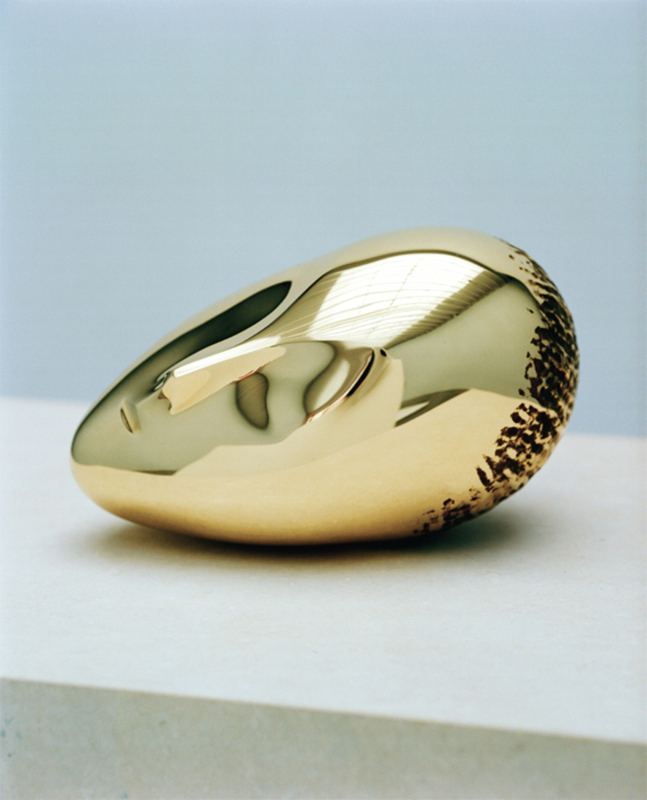 Constantin Brancusi, La Muse Endormie II (Sleeping Muse II), 1923/2010, polished bronze, 6 5/8 x 11 3/8 x 6 7/8". In the wake of the excitement generated by the Armory Show centennial comes an exhibition of five polished bronzes by Constantin Brancusi that were cast between 1992 and 2006. This show, tasteful to a fault, both reminds and distracts. It reminds us anew of the Armory brouhaha in 1913; of a fracas occasioned by the 1926 arrival on these shores of several Brancusi sculptures (the works were seen by American customs officials as industrial products, hence subject to the import duties from which artworks were exempt); of Brancusi’s connection to the Arensberg circle and the New York beau monde of the day; of the stylistic connection between Brancusi’s work of the ’20s and New York skyscraper Deco. But the show also distracts, pointing to problems inherent in posthumously cast works (even if legally authorized), only a few of which can be signaled in a brief review.